Welcome to another instalment of the Carpe Annum Interviews. Each year, Novel Matters choose a handful of writers to interview on the blog. 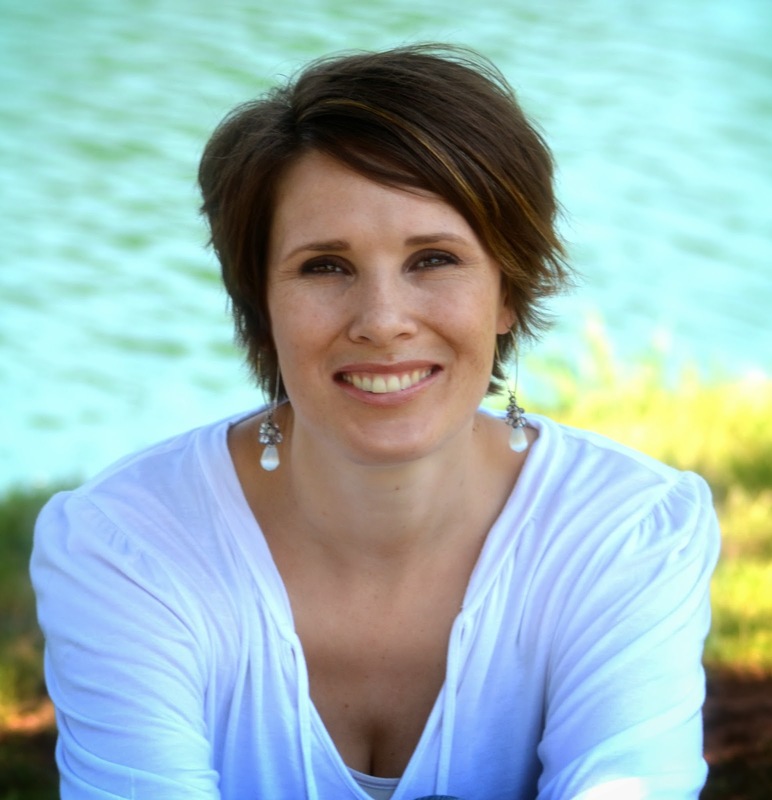 We're happy to bring you a familiar face to the Novel Matters blog, our friend Ariel Allison Lawhon. Ariel Lawhon is the co-founder of the popular online book club She Reads. A novelist, blogger, and life-long reader, she lives in Nashville, Tennessee, with her husband and four young sons (aka The Wild Rumpus). Ariel believes that Story is the shortest distance to the human heart. Her next novel, THE WIFE, THE MAID, AND THE MISTRESS, will release from Doubleday in February of 2014. NM: Ariel, welcome to the blog. Let's begin by telling us about your latest book, due out Febuary, 2014. AL: My newest novel is called THE WIFE, THE MAID, AND THEMISTRESS and will release from Doubleday on January 28th, 2014. It revolves around the real-life disappearance of a New York State Supreme Court judge in 1930 and is the story of three women who know what happened to him but, for different reasons, choose not to tell. I’d never heard of Joseph Crater until I read an article about him in The New York Post nine years ago. I didn’t know that his disappearance was the biggest missing person’s case of the twentieth century or that he was a household name for almost fifty years. It was fascinating. But in all of that, what intrigued me most was his wife Stella, and her strange yearly ritual. Starting on the first anniversary of her husband’s disappearance, she would go to a bar in Greenwich Village and order two drinks. She’d raise one in salute, “Good luck, Joe, wherever you are!” Then she’d drink it and walk out of the bar, leaving the other untouched on the table. She did this every year for thirty-nine years. After reading that article Stella Crater took up permanent residence in my mind. I’d close my eyes and she’d be there, in that corner booth, a glass of whiskey in her hand, practically daring me to tell her story. So I did. A wickedly entertaining novel that reconstructs one of America’s most famous unsolved mysteries—Justice Joseph Crater’s disappearance in 1930—as seen through the eyes of the three women who knew him best. Stella Crater, the judge’s wife, is the picture of propriety draped in long pearls and the latest Chanel. Ritzi, a leggy showgirl with Broadway aspirations, thinks moonlighting in the judge’s bed is the quickest way off the chorus line. Maria Simon, the dutiful maid, has Judge Crater to thank for her husband’s recent promotion to detective for the NYPD. Meanwhile, Judge Crater is equally indebted to Tammany Hall leaders and the city’s most notorious gangster, Owney “The Killer” Madden. Then, on a sultry summer night, as rumors circulated about the judge’s involvement in wide-scale political corruption, Judge Crater stepped into a cab and disappeared without a trace. Or did he? After thirty-nine years of necessary duplicity, Stella Crater is finally ready to reveal what she knows. Sliding into a corner booth at Club Abbey, the site of many absinthe-soaked affairs and the judge’s favorite watering hole back in the day, Stella begins to tell a tale—of greed, lust, and deceit. As the story unfolds, Stella, Ritzi, and Maria slyly break out of their prescribed roles, and it becomes clear that these three women know a lot more than they’d initially let on. With a layered intensity and tipsy spins through subterranean jazz clubs, THE WIFE, THE MAID, AND THE MISTRESS is a gripping tale that will transport readers to a bygone era. But beneath the Art Deco skyline and the intoxicating smell of smoke and whiskey, the question of why Judge Crater disappeared lingers seductively until a twist in the very last pages. You can read an excerpt of WIFE MAID MISTRESS here. NM: Ariel, you know a great deal about the way a writing career can ebb and flow. You've taken an unusual path and, with the upcoming release of your latest novel, a triumphant path. But it's always a rocky way, isn't it? One day you’re an Amazon 5-star, the next--not so much. Have you figured out ways to separate yourself from opinions to give your creative self for another day of writing? But here’s what I learned: none of it matters. The only things that matter right now, today, are the words on the page in front of me. That’s what I can control. And I will never find joy in this profession—much less write another book—if I can’t enjoy the actual process of writing. So I have to touch the story every day. Even if it’s just a word or two. The only way to stay sane is to write. NM: Sanity is a wonderful thing, I've been told. Tell us about bit about the choices you made as a writer along the way, and what lies ahead for you. AL: I would love to be a book-a-year writer. But I never will be. WIFE MAID MISTRESS sat in my brain for over five years before I got the courage to start writing. My current work in progress has been stewing for a similar amount of time. NM: What happens while all those stories are stewing? AL: The good news is that I have about five viable novels waiting at any one time. And I’ve learned to stagger them, to know which comes next and which needs to cook a little longer. An earlier me tried, unsuccessfully, to write several at once. NM: Good news is often followed by bad news. Right? AL: The bad news is that the writing itself is still a slow process. I write and rewrite. Piddle and rearrange. Research. Write some more. I have lots of false starts. WIFE MAID MISTRESS went through six different drafts before I really found the story. NM: Six sounds like a lot, but I suspect it's close to the norm for many novelists. Can you walk us through what some of those drafts looked like and what got changed? AL: I played with different narrators, tense, and timeframe. And then of course once my agent got her hands on the finished manuscript we revised two more times with a specific eye toward submitting to publishers. Those final revisions were done with a scalpel. Fine tuning pace and tension. We were trying to eliminate reasons for publishers to say no. NM: All that revision, winnowing the book down to its most tasty bits, here's the question: did you write with an outline, or did you wing it for each draft? AL: I am, to put it mildly, a plotting addict. And a huge fan of John Truby. I buy a new copy of his book, THE ANATOMY OF STORY, every time I start a new novel. And I work my way through methodically. I know all sorts of things on the front end. Characters and Plot and Theme and Symbolism. And I always think that I have a solid grip on the story and where it’s going. Which, for the most part, I do. But every single time I am gobsmacked by epiphany when I get into the guts of the story. For me, surprises only come after I do the hard work of unraveling the story itself. NM: It's interesting to hear that careful planning in no way negates the role of epiphany, nor does it guarantee a perfect first draft. I've learned, though, that it helps a great deal. So, after all you've gone through as a writer (so far), if you could travel back in time, what advice would you give to yourself just starting out? AL: Storytelling and Writing are two very different art forms and, to be a good novelist, you have to master both. NM: Excellent. How would you explain the difference to yourself? AL: I would tell myself that Storytelling is the momentum behind a novel. It’s the skill that keeps a reader turning the page. The ability to draw someone in and keep them engaged. And Writing is the craft. It’s the mechanics. How we take the Story and translate it to the page in a unique and compelling way. For me Storytelling is all heart and enthusiasm while Writing is technical and deliberate. I would tell myself to focus on those two things and everything else will fall into place. NM: In the midst of dividing story from writing, what's your go-to thing as a writer, that one thing you can't be without while you're crafting a novel? AL: My Macbook. Multi-colored Sharpie pens. Coffee. THE ANATOMY OF STORY. Empty notebooks. Scrivener. Lip balm. Sorry, that’s not one thing. And I guess it proves that I’m not as low-maintenance as I’d like to believe. NM: Oh darling, join the club. Now that you're surrounded by your writing must-haves, who is the one person--aside from the obvious agent and/or editor--you turn to for advice? The indomitable Stella Crater was born that day (the fictional version at least). NM: I remember that conversation well. Writer friendships are so important. Glad I could be a cheerleader for you, but truthfully, you had it all well in hand. Moxie galore, Ariel. And that is the focus of these interviews. Sharing moxie with the wider writing community. What advice do you have for our readers? AL: The two hardest pieces of advice I know. First: write. There is no career without the writing. There is no book without the writing. There is no writer without the writing. Second: write the story that scares you most. The one you’ve been avoiding and that you’re certain you can’t pull off. Show up every day even though you’re terrified and write THAT book, holding nothing back. Bonus advice: keep a box of tissues handy. You’re probably going to cry a lot. The work is hard and you’ll be riddled with self-doubt. You’ll spend a lot of time circling the story, frustrated, because it matters to you and you want to get it right. The beauty of writing the story that scares you is that it’s impossible to be half-hearted about it. NM: I'm tearing up a little just thinking about it! We know you practice what you preach, tell us about one of your Carpe Annum moments as a writer. AL: There are a lot of easy answers to that question. Writing an impossible book. Leaving CBA to publish in the general market. Spending years building a sturdy fiction platform (all of those are posts for another day). But none of those things would be the truth. They were side effects of the real turning point. Everything changed for me when I realized that if I wanted to have this job—and I did, I still DO—then I had to sit down and write a novel. I knew that if anything were to come of this dream it would spring from a finished novel and nothing else. NM: If that doesn't inspire us all to pick up pen and get writing, nothing will. Thank you, Ariel, for sharing a part of your writing journey with us. We look forward to your novel's release (and we adore the cover! ), and sharing your work with friends! Thank you so much for having me, ladies! It was so fun to talk with Bonnie and remember that these things that begin as an idea, bounced back and forth between friends, often end up as books that we can hold in our hands. Ariel, you gave us so much to gnaw on, as usual. I especially love the truth of this, "The only things that matter right now, today, are the words on the page in front of me. That’s what I can control." I sense a cross-stitched sampler in my future. I'm also a Truby lover. When you speak of epiphany, are you referring to self-revelation? One frustrating thing about his writing is that he sometimes switches out terms. Just checking. Ariel this has been incredibly helpful. I'm going to pull out Truby again this morning and sit down with him and a good cup of coffee. I'm itching to write, but I'm not finished planning as yet. This has given me the impetus to keep going. Thank you! Yes. The story that scares us most. I'm shaking in my boots just thinking about my work in progress. It's a good kind of shaking. Thank you, Ariel! And I look forward to reading this novel of yours. It is intriguing for sure! "I knew that if anything were to come of this dream it would spring from a finished novel and nothing else." It would be a major fail to have a platform constructed, relationships built - and NOT have a finished novel. Oh, Susie, thanks for reminding me about the story that scares us most. I try to make the character that most represents me look good - polished up. I try to tidy up and sterilize the bad stuff, and be kind, and then...boring. I chafe about the squeaky clean rules of CBA and then go right ahead writing under a yoke of expectation, familial or well trained.